'Hang Up' is the latest painting in the series 'Ocular Vibrations' ... 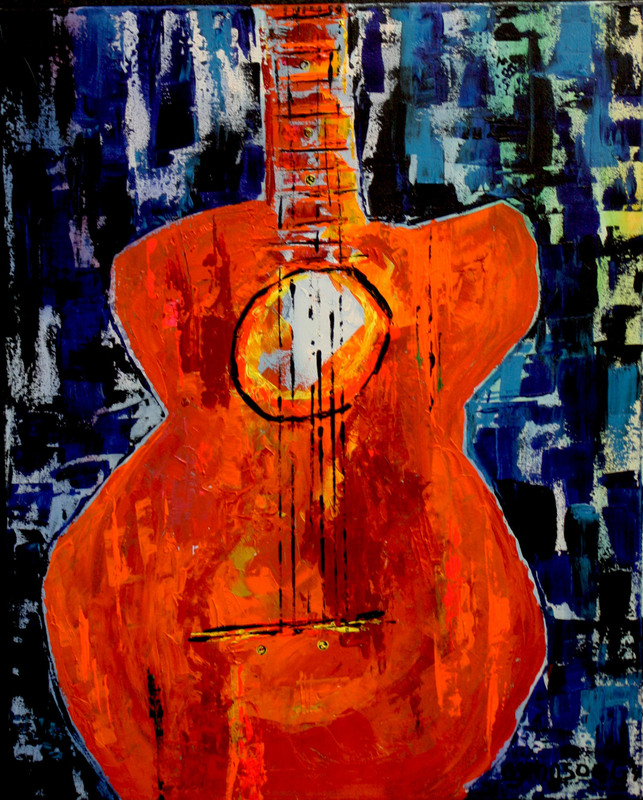 This series was inspired by The Midland Tall City Blues Fest and my love of music. It is a series that I started about a year ago. It has been a practice of mine to paint while listening to music since I first started painting. Music influences my work and sets my creative energy free ... it pulls me away from my never ending "to do list" and allows me to get in touch with thoughts and feelings that are floating around in this crazy brain of mine. That little bit of crazy finds it way to the canvas!! As is often the case this painting named itself after it was finished. Once it has found its new home .... and made a personal connection with its intended I will share with you the rest of The Story Behind the Art ... I hope you will attend the Tall City Blues Fest this year, it is a wonderful Blues Festival!!! This painting will be in the Tall City Blues Fest Art auction so you can see it up close and personal .... it has much to say to you ... Enjoy. 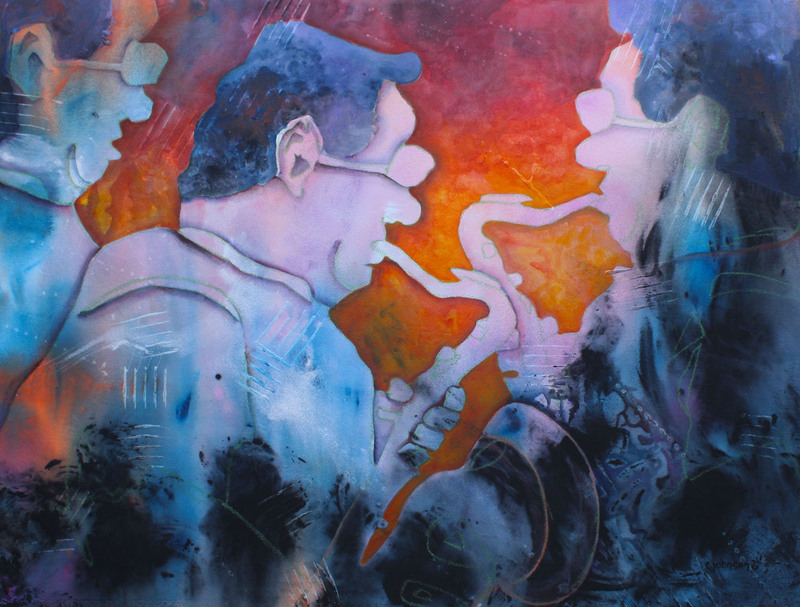 'Bourbon Street Blues' SOLD at The Tall City Blues Fest Auction!! I understand that the buyer and his wife really love the blues so I am very excited that they also appreciated this piece of artwork. Tall City Blues Fest was great. I hope to be a part of it again next year. If you can make it I hope you will go too. Another first! 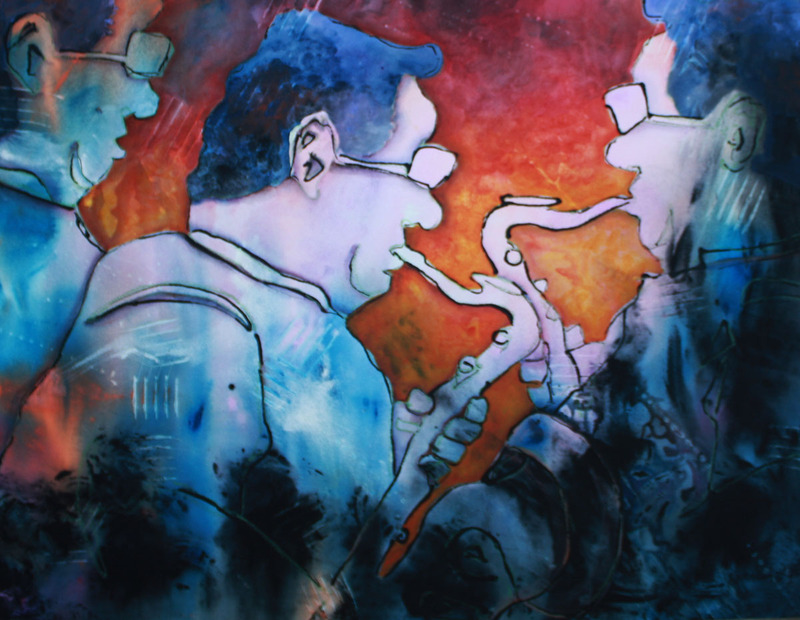 This year I have been invited to show a piece of my artwork at the Tall City Blues Fest. I have the perfect piece ... 'Bourbon Street Blues'. I painted this piece in Ruston Louisiana a year ago. It is 22"x30" unframed and watermedia on 140lb arches paper. This painting remindes me of time spent in New Orleans listening to jazz music and to the blues on Bourbon street in downtown New Orleans. I think of great food, great music, and the romance of the French Quarter. It must be time to return to my old stomping grounds!! The Tall City Blues Fest will be July 27th-28th. If you are interested in this piece of artwork you will be able to place a bid at the silent auction over the weekend or just contact me and I will place a bid for you. If you would like to get more information on the Tall City Blues Fest go to www.tallcitybluesfest.com I hope I will see you there.